Hate speech is a problem in Finland like in many other countries in Europe plagued by a surge in far-right populism, racism, xenophobia and what could be aptly termed narrow-mindedness. Victims of hate speech in Finland are commonly the "usual suspects" - immigrants, Roma and Muslims. It is worth highlighting that a poll commissioned by Helsingin Sanomat revealed that minority groups mostly affected by racism in Finland are Somalis, Muslims and the Roma. 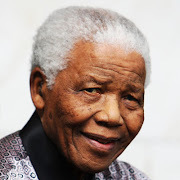 Hate speech is used by both ordinary citizens and controversial politicians who make a name for themselves by bashing ethnic, religious or national minority groups. The surge in racism and incitement of hate online prompted some officials in Finland to urge politicians to stop using hate speech to win votes. Eva Biaudet, Ombudsman for Minorities, for instance said the law should come down more heavily on hate speech. Recently, courts in Finland have sent a loud and clear message that hate speech is not protected by freedom of speech. 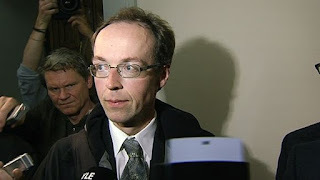 On 8 June 2012, Finland's Supreme Court upheld the conviction of a Member of Parliament (MP), Jussi Halla-aho, for hate speech, in relation to statements he made on his blog about Somali immigrants and Islam. The Supreme Court ordered Jussi Halla-aho, MP for the controversial "True" Finns party, to pay a fine for anti-Islamic blog posts published in 2008. The court increased the sentence of the lower court by ordering the convict to pay a higher fine and to delete certain writings from his blog. In the blog posts in question, Halla-aho reportedly likened Islam to pedophilia and said Somalis are genetically predisposed to stealing and living off welfare. The High Court ruling comes less than two months after a court in north Karelia sentenced six people for online racism and incitement of hate against an ethnic group. The six people were sentenced in relation to comments they posted on a Facebook group that featured threats and insults against immigrants. Such verdicts represent victories for the fight against hate speech. Courts in Finland understand that the exercise of the right to freedom of expression, as per Article 10 (2) of the European Convention on Human Rights, "carries with it duties and responsibilities" and "may be subject to such formalities, conditions, restrictions or penalties as are prescribed by law and are necessary in a democratic society... ."
As stated in the European Convention on Human Rights, freedom of expression could be legally restricted to protect the rights and reputation of others. Unfortunately, a good number of people, including some "experts" in European politics, politicians and political bloggers, are unaware of the fact that expressions that incite hate are not protected by freedom of expression in Europe. Some have wrongly suggested that the conviction of Jussi Halla-aho, a politician who is famous for wrong reasons, represents war on free speech. Such an assertion is a misguided attempt to embolden proponents of hate speech and individuals who incite hate against minorities. 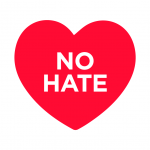 Those who intentionally or unintentionally confuse hate speech with free speech and attempt to defend expressions that incite hate are prone to use hate speech against vulnerable individuals or groups. Free speech is not hate speech. The difference between the two concepts cannot be overemphasized. A defiant Jussi Halla-aho reportedly dismissed the ruling of Finland's Supreme Court as "the personal interpretation of a few people." This goes to show that the MP despises the highest court of the country he seeks to "safe" from immigrants and multiculturalism. He says he will not resign as chairman of parliament's Administration Committee, a body which deals with immigration policy. It is unclear how a person with anti-immigration sentiments could work without bias on immigration issues. Calls for Halla-aho to resign from his post as chairman of parliament's Administrative Committee are well-grounded. He plans to challenge his conviction at the European Court of Human Rights - an institution that knows too well, like Finland's Supreme Court, that freedom of expression does not cover hate speech and inciting hatred against minority groups. *Photo of Jussi Halla-aho: YLE.